Video – Tamiya Comical Grasshopper In Action! « Big Squid RC – RC Car and Truck News, Reviews, Videos, and More! 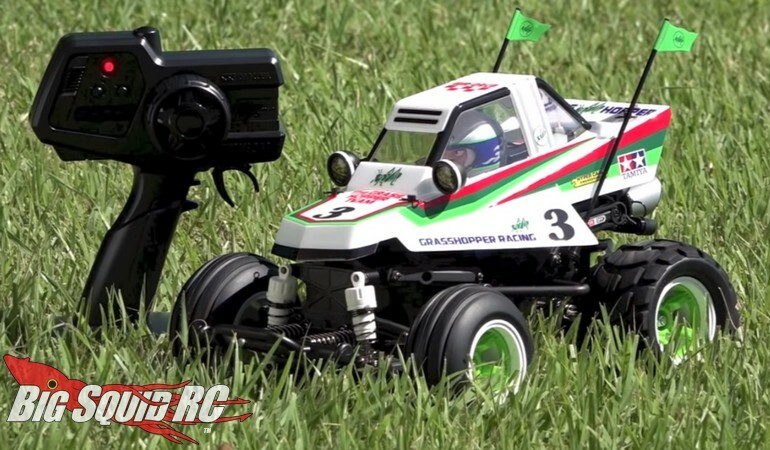 Video – Tamiya Comical Grasshopper In Action! Just posted by Tamiya is an action video for their new Comical Grasshopper. The Comical Grasshopper is all about fun and you can watch the video below to see it driving. The video has an old-school Tamiya feel to it, featuring retro music and light paced driving, which is perfect for the Comical Grasshopper. The new Tamiya is expected to start shipping in October and it will be a highly sought after release, so get on a list now. Use This Link to get more details, or you can Click Here to read more Tamiya news on BigSquidRC.